Are you ready for Day 3 of giveaways?!? I hope so! Today I am introducing you to Two Little Martians etsy shop. 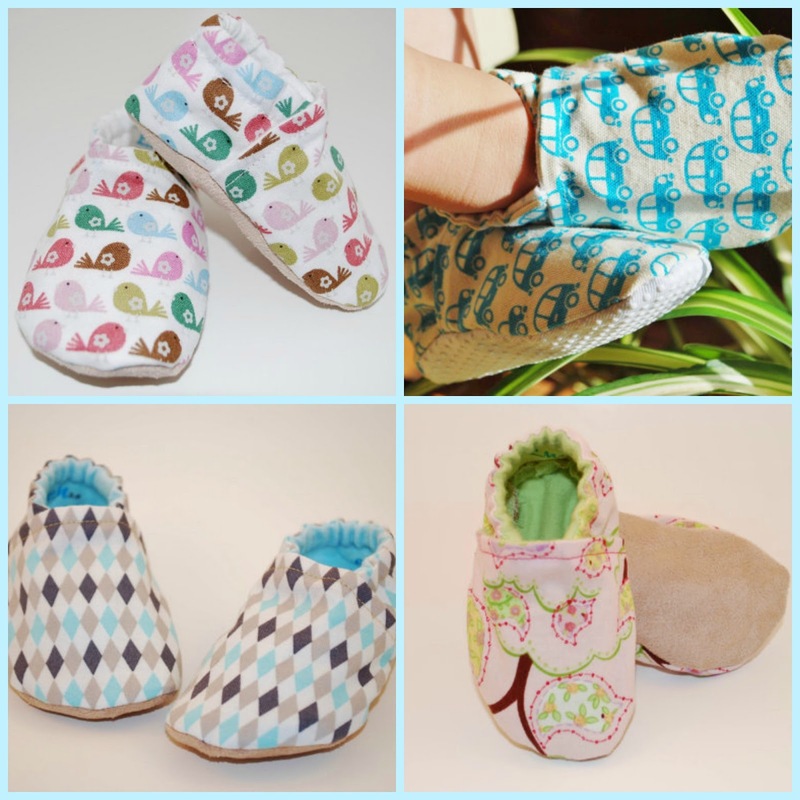 TLM offers adorable canvas moccasins for littles of all ages. Two Little Martians mocs are crafted with a soft exterior fabric and a cozy flannel lining on the inside. The precious mocs come in all sizes and super adorable prints. Run by Two Little Martians etsy shop and take a look at the lovely selection of kiddie mocs! Then, swing back by The Quick Journey and enter to win a pair of mocs for yourself!!! Two Little Martians is giving away a pair of mocs to one lucky reader!!! To enter: Use the Rafflecopter below! Good Luck! Winner will be chosen April 10th @ 7 pm CST! TheMini Harlequin Sea Soft Sole Cloth Baby Shoe are SUPER DUPER cute!! I love the little Rush Hour shoes!! I love the birdy mocs, but they are ALL so cute! Love the colorful bird shoe!! Thanks for the giveaway! I'm here from the seven alive party, I like the Treetop Birds Pink Soft Sole Cloth Baby Shoe! I love the blue cars baby shoes! I found your blog from the Friday Chaos blog hop and I'm so happy I did! The pink tree top moccasins are adorable:) Thank you for hosting such a fun giveaway! Oh I would love the Rush Hour Soft Sole Cloth Baby Shoe! So precious! Love the Blue Scoot Words Soft Sole Cloth Baby Shoe!! I like the Colorful Birds Slippers. I love the Blue Cars Soft Sole Baby Shoe! I would love to win the Treetop Birds Pink Soft Sole Cloth Baby Shoes. The Drew Lavender Shoes are my favorite. I love the little birds but really they are all so cute!!! I really love the little Rush Hour Soft Sole Cloth Baby Shoe-my newest nephew would be so adorable in those! I like the Lavendar with White Dots Soft Sole Cloth Baby Shoe. I really like the Rush Hour Soft Sole Cloth Baby Shoes.